I’m a self-confessed smartwatch skeptic. The first one I ever tried, the original Pebble, struck me as an extremely ugly solution in search of a problem. 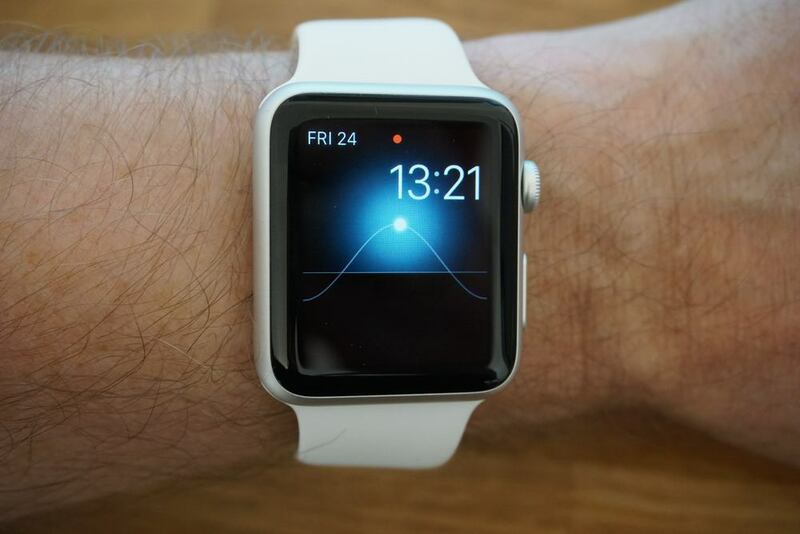 The Apple Watch, when it was finally announced, looked like a rather attractive (if too thick) solution in search of a problem. First, although I can’t see an actual problem I need the watch to solve, that’s not the same as considering it a useless device. I can see potential applications for it, I’m just not sure they amount to a sufficient reason to own one. Second, it’s a gadget. I like gadgets, and the Apple Watch is undeniably a very clever piece of kit. Even if I can’t find a good reason to own one, perhaps I can figure out a reasonable-sounding excuse. Third, I have been known to be wrong about these things. Specifically, I was wrong about the iPad, which I initially bought expecting to use it only as a movie version of a Kindle and which now goes everywhere with me. I’m using it, in fact, to write the opening to this piece while on a train. The one thing I think may sell the Apple Watch to me is the convenience of glancing at notifications on my wrist when cycling, rather than wondering whether that bleep from the iPhone in my pocket can be safely ignored until I reach my destination. So, I’m trying one. I’m going to keep a diary of my experiences and impressions, and we’ll find out at the end of the week whether or not I decide to keep it. Right now, your guess is as good as mine. Apple has to strike a balance with packaging. Too basic, and it wouldn’t feel sufficiently special; too extensive and it would feel wasteful, at odds with the company’s environmental stance. With orders online-only for quite some time, the packaging also has to offer sufficient protection. I think Apple manages a decent balance here. I’m sure Dom will do a fantastic unboxing video later (update: he did indeed), and I’m not even going to attempt to compete with that, so here are a few photos. 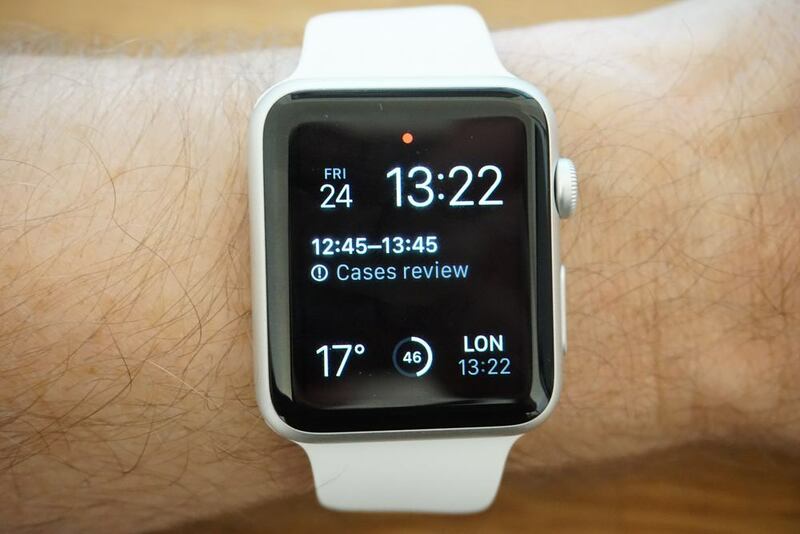 My first impressions of the Apple Watch were at a try-on appointment at Apple’s Regent Street store in London. I wrote about that experience, and what I think it might mean for Apple’s longer-term retail future, at the time. But I didn’t write much about the watch itself, so let’s correct that here. Looks-wise, it’s cute. The stainless steel model looks good in a classic way, though I did note that the shiny surface was easily marked by fingerprints. I’d expected this to be my preferred model. The Sport looked far better in reality than it did in photos – perhaps because it’s good match for a standard MacBook finish. Even the Edition had a surprisingly understated look. It is, though, thick. You don’t notice that when you’re using it, but typing on a keyboard, for example, when you have a side view, you can’t help but be struck by the fact that it looks chunky rather than sleek. The Sport band was a big surprise to me. I’d expected it to look and feel cheap, but it really doesn’t. It looks fine, if unremarkable, and it feels lovely. It was by far the most comfortable of the four straps I tried on (Sport, Classic Leather, Milanese Loop, Link Bracelet). I was initially fairly sure I wasn’t going to keep it, but there was that element of doubt. Since I generally aim to avoid investing too much in first-generation products, I decided to hedge my bets and order the cheapest option: Sport Watch with elastomer band. I have large hands, so the 42mm was the only option for me – the 38mm would look silly on my wrist. I wasn’t a fan of the white, so ordered a black one, but ordered it separately just in case: I didn’t want my watch delivery held up by a shortage of black straps. This seems to have been a sensible decision as the black strap is still shown as Processing. For now, then, I’m stuck with the white. The white plastic charger you get with the Sport model is inoffensive. The UK plug is really neat! I spent a total of around 40 minutes using the watch in-store, split between an Apple Store and Selfridges. It wasn’t yet intuitive, but it was making sense. I’m expecting the UI to be second-nature within a day or two. One thing I couldn’t try in the store (because the try-on models are running video) is how reliably the watch switches on when you raise your wrist to glance at it. So that was my first test. The answer is reliably, though not perfectly. It does require a fairly deliberate flick of the wrist, rather than a more relaxed one, and occasionally comes on when reaching across to pick something up, for example, but in general it works well. Deciding which complications to add was interesting as it needed me to have some idea of what it might be useful for, and what was something I was only going to discover by using it. Calendar seemed obvious. Activity was going to be kind of pointless on a day when I’m working from home, so I skipped that. Weather is always useful, and I suspected battery-life would be an important indicator during the novelty phase. A second time-zone would be very useful given that I live in the UK and write for a US website, but this was when I hit my first snag: it’s not at all obvious how you choose the zone. Force Touch the complication? No. Scroll using the digital crown? Nope. I made a note to consult the manual later. I wanted to try the watch in its vanilla state before I did any further customizing, so for now I’ve left the notifications on their defaults. So far it has alerted me to calendar events and a DM on Twitter. We’ll see how that goes. Wearing a watch again felt very strange: I haven’t worn one for around a decade. But, as I say, the elastomer strap is extremely comfortable, and I’m expecting to quickly get used to it. It looks fine on my wrist.